Rieux-en-Cambrèsis is a village 9 kilometres north-east of Cambrai. 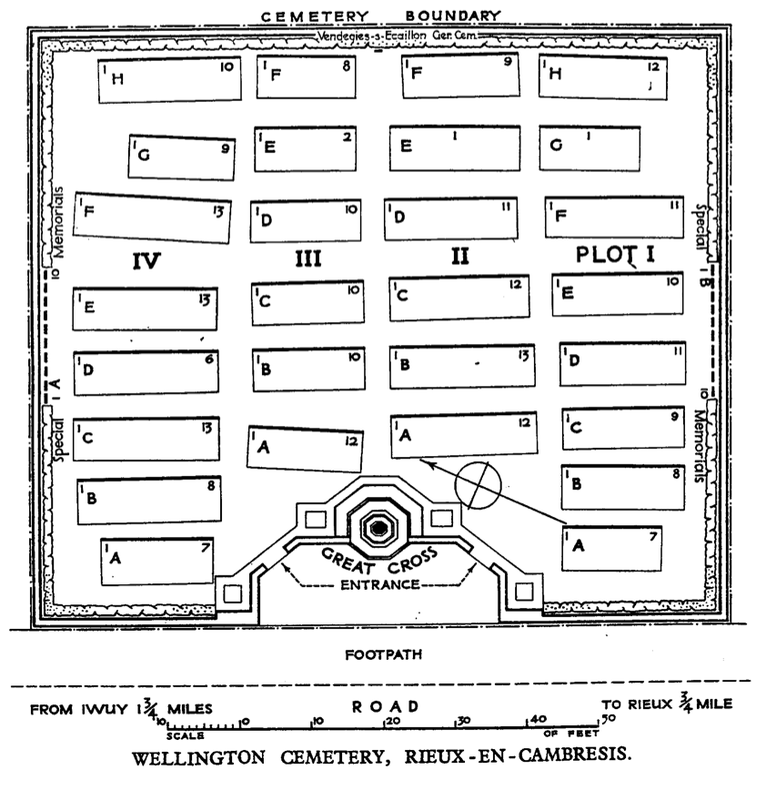 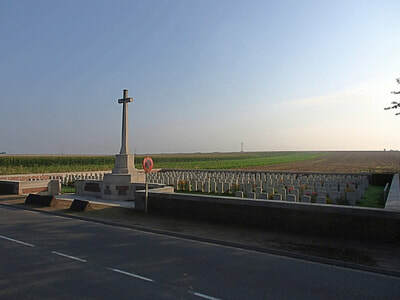 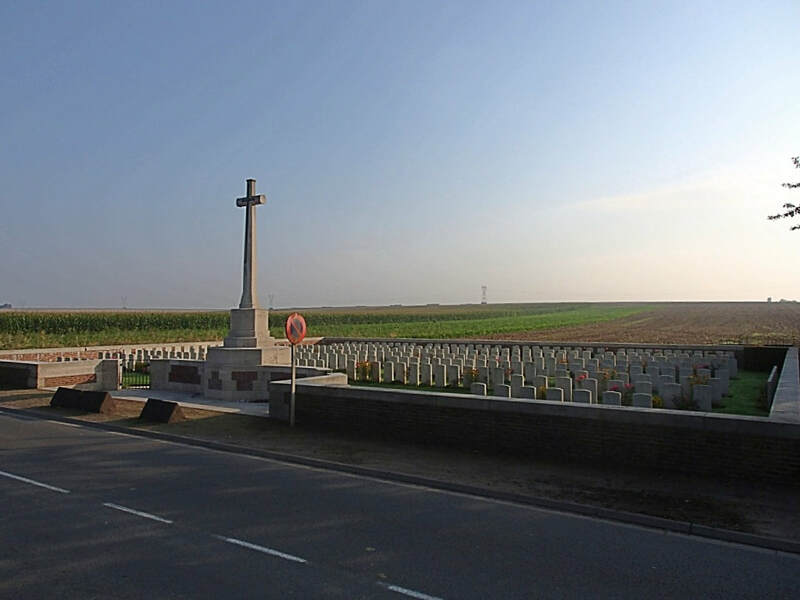 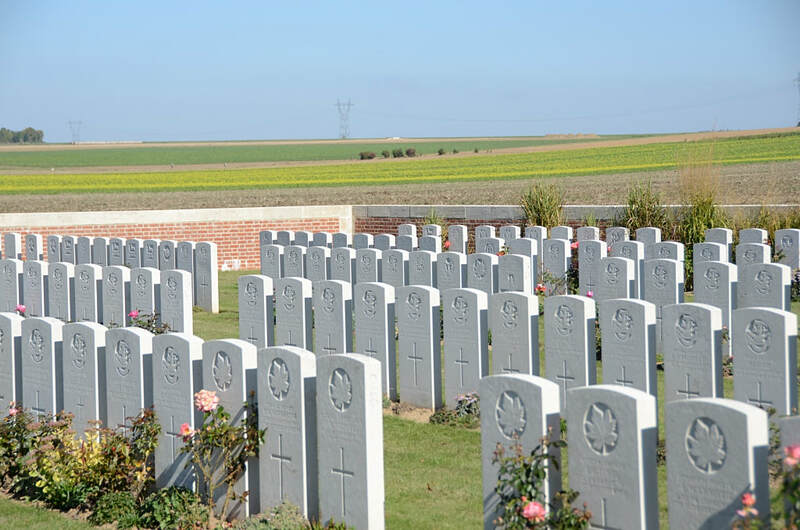 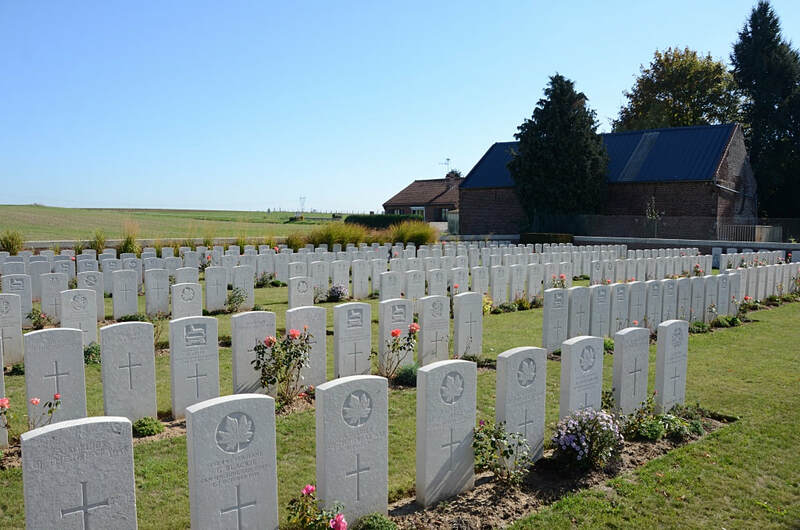 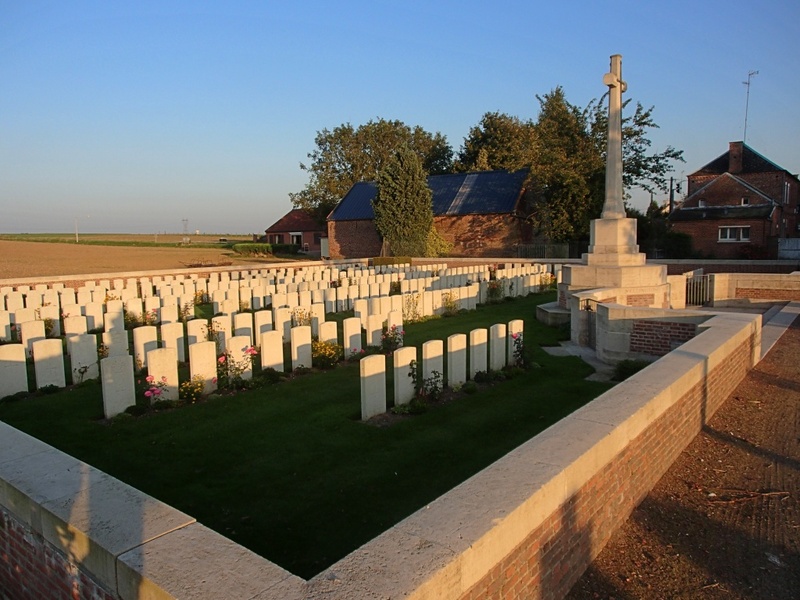 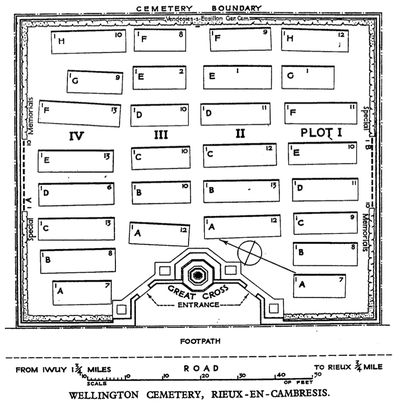 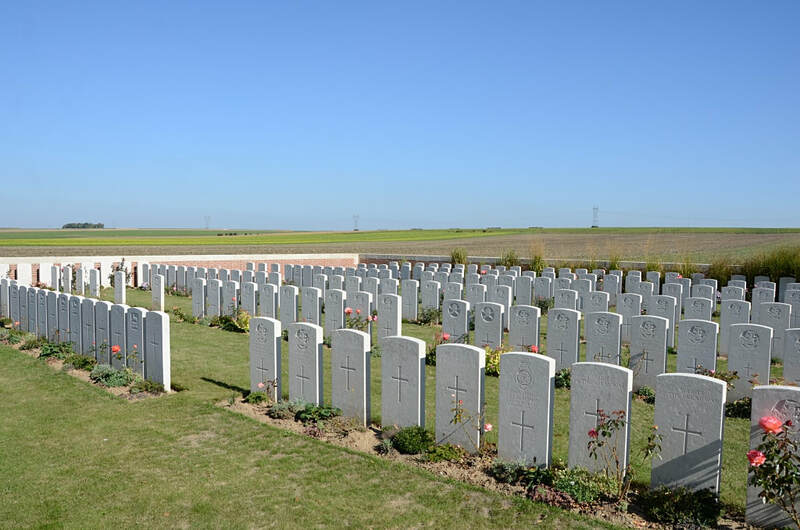 Wellington Cemetery is 800 metres north of the village, 50 metres from the traffic lights on the D118, Cauchy-Iwuy-Rieux-en-Cambrèsis road. 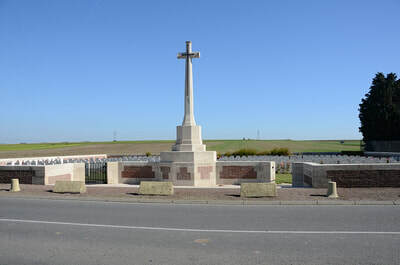 VENDEGIES-SUR-ECAILLON GERMAN CEMETERY, which was a small cemetery at the crossing of the Chaussee Brunehaut and the Vendegies-Bermerain road. 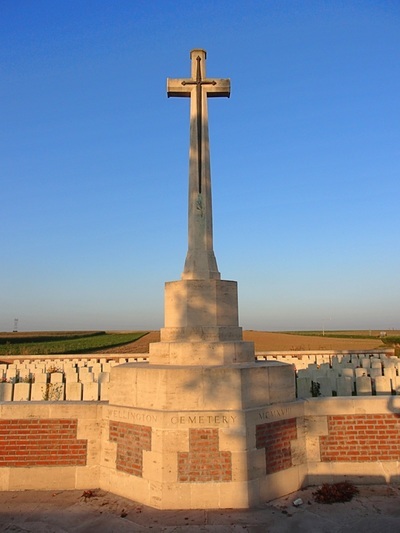 It contained the grave of one soldier from the United Kingdom who fell in October 1918. 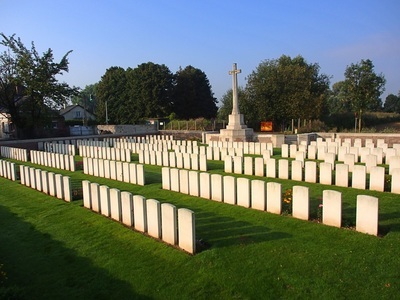 In addition, the graves of three soldiers from the United Kingdom, who fell in October 1918, were removed from VERCHAIN-MAUGRE COMMUNAL CEMETERY to Wellington Cemetery. There are now over 300, 1914-18 war casualties commemorated in this site. Of these, over 80 are unidentified and special memorials are erected to 20 soldiers from the United Kingdom, known or believed to be buried among them. Another special memorial bears the name of a soldier from the United Kingdom, buried in Vendegies-sur-Ecaillon German Cemetery, whose grave could not be found. 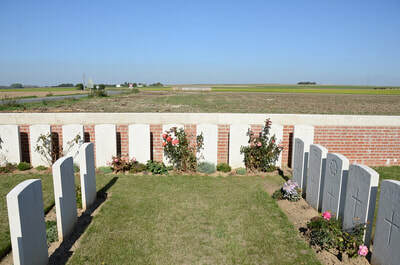 The cemetery covers an area of 769 square metres and is enclosed by a low brick wall. William enlisted in Rochdale on 2nd March 1917, the third son of John William and Naomi, he was employed by Lowfield Spinning Co Mill, he is commemorated at St Ann's Church, Belfield and buried Wellington Cemetery Rieux-en-Cambresis. 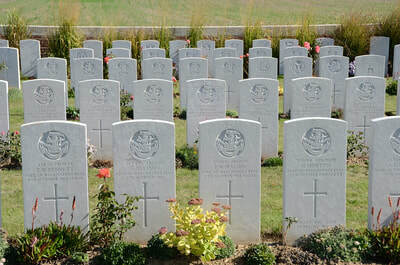 He was born on 8th January 1899. 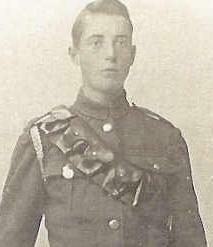 His father John William died 10th August 1934, aged 66 and mother Naomi died 27th August 1953, aged 81. 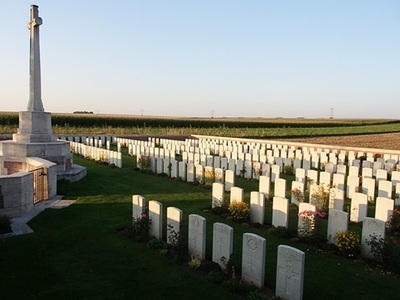 11th October 1918, aged 21. 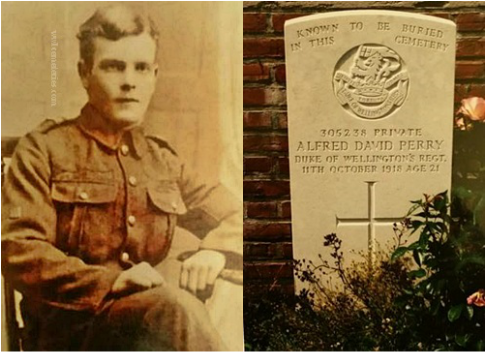 Son of Colin Campbell Perry and Edith E. Perry, of 30, Spring St., Upper Clough, Linthwaite, Huddersfield. 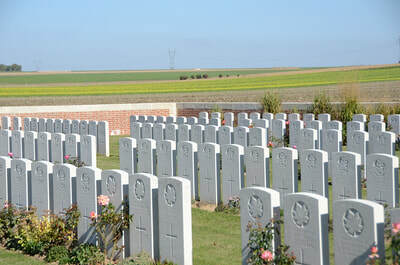 Pictures courtesy of Great, great niece, Julie Brunskill. 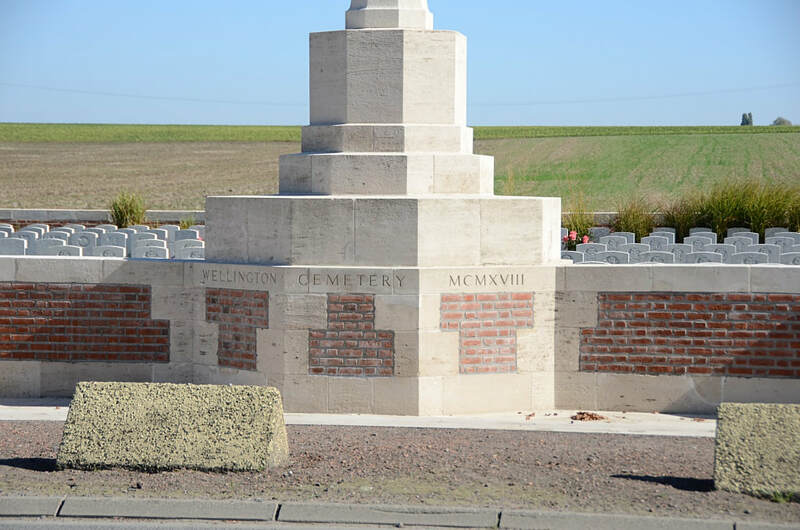 11th October 1918, aged 27. Husband of Annie Tew, of 16, Grafton St., Park, Sheffield.